Neuroblastoma expert Stephen Roberts is part of a team of specialists committed to improving the outlook for children with neuroblastoma. If your child has been diagnosed with neuroblastoma, we’re here to help you. MSK has the largest-volume neuroblastoma clinical program in the world, with approximately 125 new visits per year. 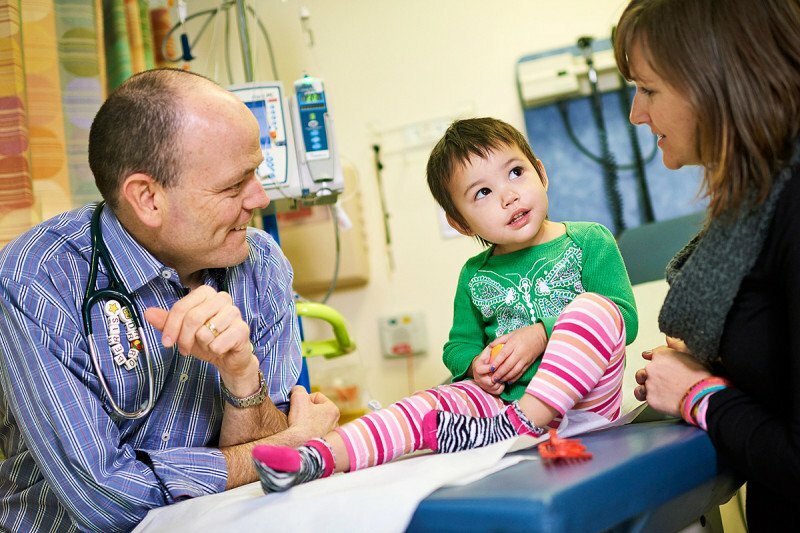 With five physicians focused solely on neuroblastoma, we have expertise not found elsewhere. Many of our patients are cured of the disease and go on to lead happy, healthy lives. Whether you come to us as soon as the disease is suspected or after a relapse following treatment elsewhere, our neuroblastoma team devotes itself to shaping a treatment plan that meets your child’s unique needs. We see people of all ages with neuroblastoma, from very young children to adults. Each patient responds differently to neuroblastoma treatment, so we tailor our approach to every single patient that we see. We understand how frightening and overwhelming this experience can be, and we do our best to support you in every way we can. Neuroblastoma is a rare cancer that develops in the sympathetic nervous system, a network of nerves that carries messages from the brain throughout the body. About 700 children are diagnosed every year in the United States. Neuroblastoma is the cancer most often found in infants. The disease forms as solid tumors — lumps or masses — in the adrenal glands, abdomen, neck, chest, or pelvis. The tumors can also spread to other parts of the body such as the bones and bone marrow. Although research is intensive and ongoing, we don’t yet know what causes neuroblastoma. Most doctors and scientists believe it’s an accidental growth that occurs during the development of the sympathetic nervous system. Because many of these symptoms are similar to those of other, more common childhood diseases, speak with your doctor if you have concerns.